March 2018. 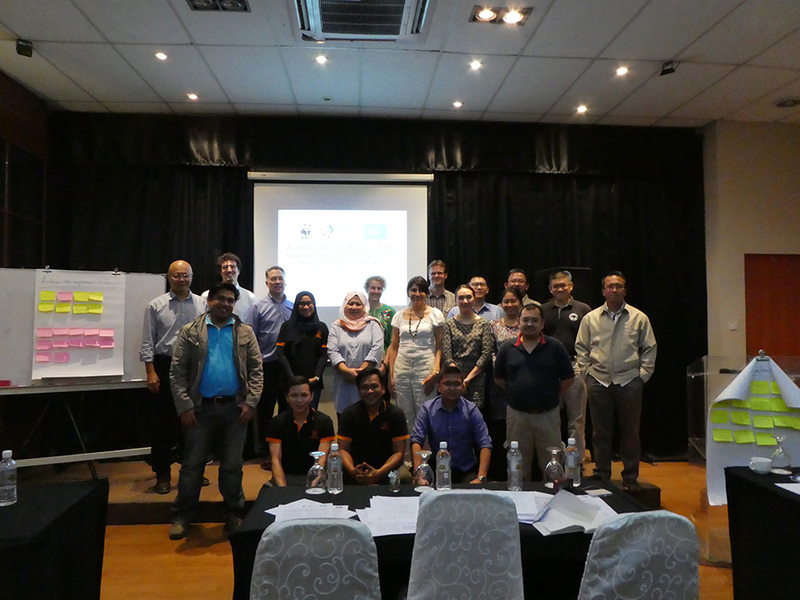 Team members of the project “Implementation of food security criteria within biomass sustainability standards” (FSS I Project) with its partners ZEF, Welthungerhilfe and the World Wildlife Fund (WWF) traveled together with the consulting firm “Meo Carbon Solutions” to Malaysia. Aim of the trip was to learn how food security aspects can be addressed within sustainably certified oil palm production. 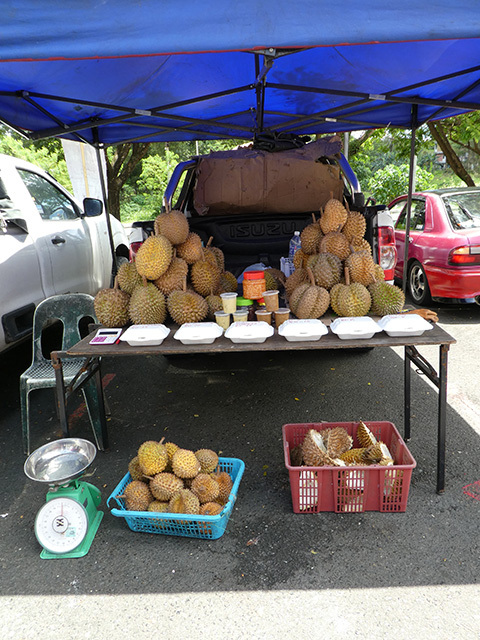 Food market stand along the road. Food security in Malaysia not secure enough? Malaysia has no major issues with food insecurity. Yet, national data indicates that food insecurity has not entirely been solved yet. Also, the oil palm sector has come under international criticism because of environmental concerns and labor conditions. To address these issues, voluntary sustainability certifications have been introduced. However, food security is – typically – neglected. Therefore, ZEF developed food security criteria, which can be integrated into sustainability standards for different crops in 2015. This research was conducted with support of the Welthungerhilfe (see ESSZert project and Article on Food Security Criteria). 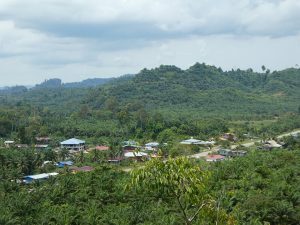 Such sustainability standards ensure that the human right to food is not violated at a local level and the European consumer of palm oil or other crops is complying with good purchasing practices required by international bodies such as the UN, OECD, and EU as well as by national governments. The follow-up project FSS I aims to test by field trials and subsequently implement the previously developed criteria. 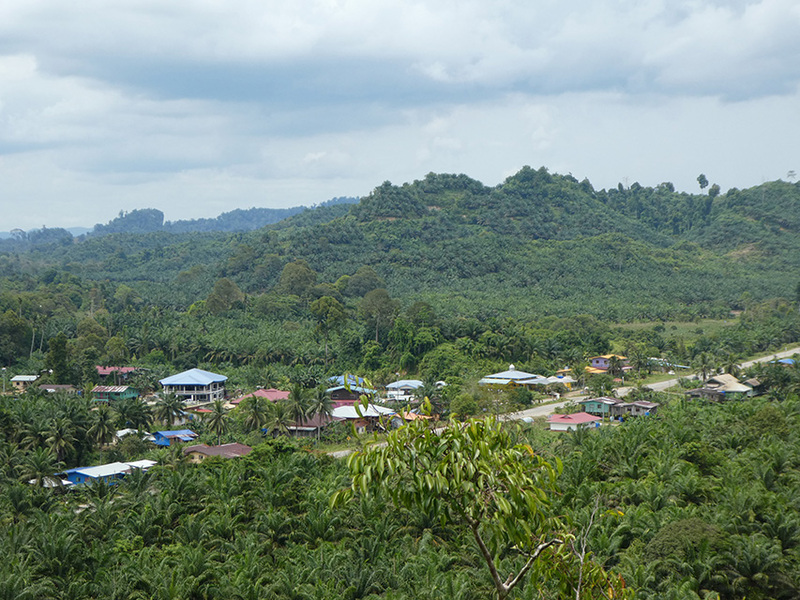 In Malaysia, large plantations have usually been sustainably certified whereas most smallholders and smaller plantations are not following a voluntary sustainability standard yet. However, Malaysia plans to introduce its own obligatory sustainability standard by 2019. So producers will have to change their agricultural and social practices. 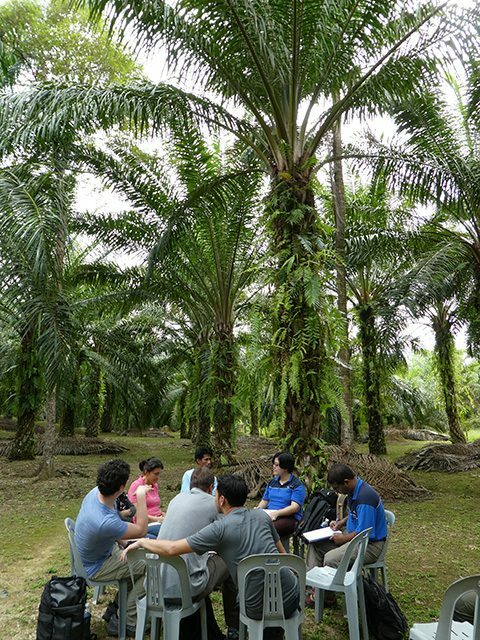 We visited the first voluntarily certified smallholders and medium-sized growers which produce oil palm. They are organized in a group certification scheme which is run by a social enterprise. Our trip offered us a great opportunity to see what is going on at smaller production scales and how food security can be addressed in a better way in oil palm production. We started our trip with a day-long meeting with the group manager of the certified producers and went through our criteria for food security. We had in-depth discussions about available documents, obtained feed-back on our ideas and got an impression of the possibilities to implement our criteria. Next, we had a large stakeholder workshop with participants from different governmental departments, oil palm producers and mills, NGOs and researchers. We introduced the concept of food and nutrition security and the Food Security Standard. The participants pointed to food-insecure people such as illegal migrant workers, but they also mentioned the income benefits palm oil production has brought for the communities and smallholders. 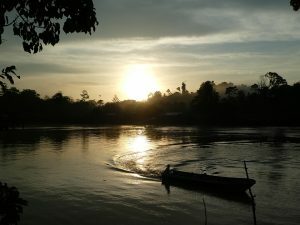 It was highlighted that in conventional palm oil production human and labor right abuses as well as environmental pollution continue to persist. In certified palm oil production facilities some incompliance may occur but, in general, there was common agreement that it benefited the workers and the environment. Next days: small farmers – which opportunities? The next three days we spent in the field talking to different certified smallholders and one medium-sized grower and his workers. Though all farmers were comparatively small, we found differences among them. Farmers with around 7 hectares were living in decent houses and had their own cars, especially when they had additional income opportunities. Farmers with only 1-2ha plots were struggling to get along. They had lower yields, partly due to the small farm size, lack of money to buy fertilizer and lack of knowledge of good agricultural practices. Consequently, their income and standard of living were low. We were surprised, that none of the visited farms produced food crops, not even for own consumption. This seems to be related to the high-income opportunities from the oil palm production and the high workload it requires, but also to a lack of markets for other crops. Meeting farmers in the(ir) field. The first reaction to raising the topic of food security used to be denial: This is not an issue in Malaysia. However, when explaining the full concept of food and nutrition security as well as the human right to adequate food, the perception changed. Food security is still an issue though not for all farmers or workers. The interviewed stakeholders mentioned that food security is especially an issue on non-certified plantations which employ many illegal migrant workers (mainly from Indonesia and Philippines) and casual workers. It is also a problem for very small farmers who have a bit more than one hectare of land and with no or insufficient additional income sources. These farmers were worried about not having enough food, depended on external support by relatives, ate less nutritious and diversified food or reduced the food quantity. 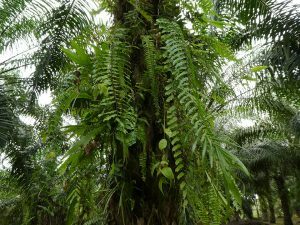 Sustainability certification was commonly mentioned by stakeholders as having contributed to improving the living and working conditions on plantations and among smallholders. However, external support to raise awareness and implement the certification system is needed. Training on good agricultural practices, health, safety, human and worker rights etc. is especially crucial for smaller producers as low levels of knowledge and little awareness of laws were frequently mentioned as obstacles for implementation. 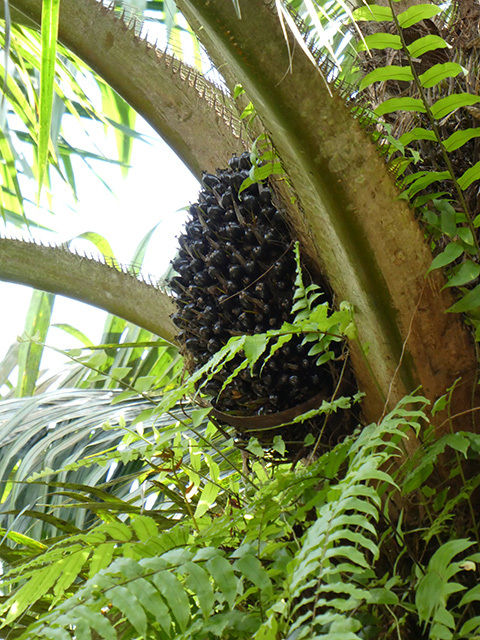 These measures also help to increase their palm oil yields. To achieve food security, we got the impression that a well-functioning certification system would need to distinguish between food-secure and food-insecure smallholders in strictness, requirements and time frames for implementing the criteria. However, the general question how an income for a decent living can be obtained from very small plots remains. Here, certification systems reach their limits and governmental support for these farmers – ideally through job creation but also by implementing social security schemes – is needed to help them escape the poverty trap. The FSS I Project is a cooperation between the Center for Development Research (ZEF), University of Bonn, Germany) and the NGOs Welthungerhilfe (Bonn, Germany) and World Wildlife Fund (WWF) (Berlin, Germany). It is funded by the German Federal Ministry for Food and Agriculture (BMEL) via the agency Fachagentur Nachwachsende Rohstoff (FNR). The trip to Malaysia took place within the Forum Nachhaltiges Palmöl (FONAP) initiative of the BMEL and was coordinated by the WWF.